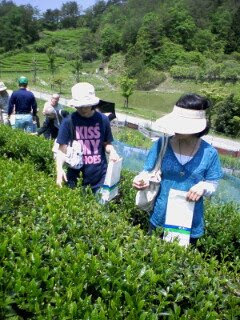 This past Monday my Japanese class went on a field trip to a tea factory/field in Moushi to pick some tea. There was a reporter from Kobe Shimbun covering the event, and I got in the paper. Yeah! Sanda International Association of the 26th, Japanese for foreigners living in the classroom, "Salon's Japanese." 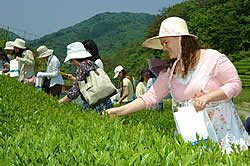 Extra-curricular activities as the area of maternal and child Sanda, tea-picking tea factory tour and enjoy the experience and lessons Open. Foreign students and volunteer teachers of about 50 people. To deepen exchanges with Japan and encourage culture, conducted every year. 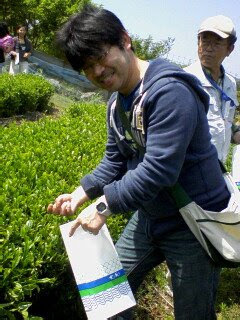 The group is the bus-processing facilities, "a bunch of incense twinkling tea". 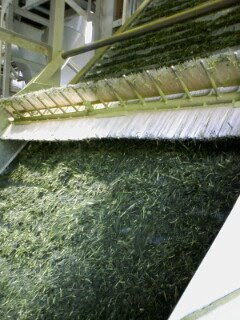 Harvesting the leaves and steamed cooling, drying machine operator to a series of visits. Process progresses, began to scent floated a cheering people. 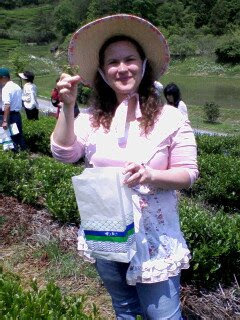 Later, moved to a nearby tea plantation. "Is the most tender shoots sweet," he said in response to the challenge of hand-picking. Under the early summer sun, sweat, it looks to choose the kind of shoots. The last part is my favorite "Tea leaves are picked, the tempura master'll buy it," I have no idea how they got this. What it actually says is "I'll ask my husband to make the tea-leaves that we picked into tempura." And here is the tempura master himself! 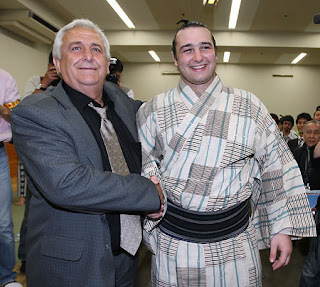 Today Bulgaria's Koto'oushuu won his first tournament and became the first European ever to win the Emperor's Cup. PS I can't read Bulgarian, but that ought to say "Congratualtions! ".